We’re proud of our I CAN GAMES participants! Great job at the Event on Sunday, Shawn, Kimberly, Jessica, David W.! 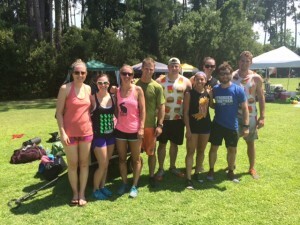 Awesome Job to Emily, Steven, David and Kristen who were competing in a CrossFit competition for the First Time! They made SRCF Proud! The Team wouldn’t have made it without Team Mom, Kate, there to document everything! TIME TO SIGN UP FOR THE GREENVILLE GAMES! Make Sure you are staying hydrated!! !